If you have been arrested and charged with any offence relating to firearms you will need a solicitor with the experience and specialist knowledge required to deal with your case in the most effective manner possible. Mounting a strong defence against such charges requires a firm of solicitors with the specialist knowledge and experience needed to give you the best possible chance of securing a favourable outcome. Norrie Waite & Slater solicitors has a large criminal defence team with decades of combined experience in defending clients accused of firearms offences. Contact us to speak to a solicitor who will assess your circumstances and advise you on the best course of action. The laws surrounding firearms range from offences of illegal possession to criminal use of a firearm. There are complex rules relating to a variety of types of firearms including air guns, imitation and specialist firearms. For some firearms offences there is a minimum sentence of 5 years. 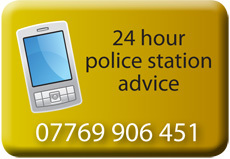 If you have been charged with a firearms offence contact us now to speak to a solicitor.